We handle a variety of different cases worldwide. Our work consists of both hands-on training and tutoring as well as dispute settlement and conducting studies on IPR issues. We work together with national and international organizations and local partners. 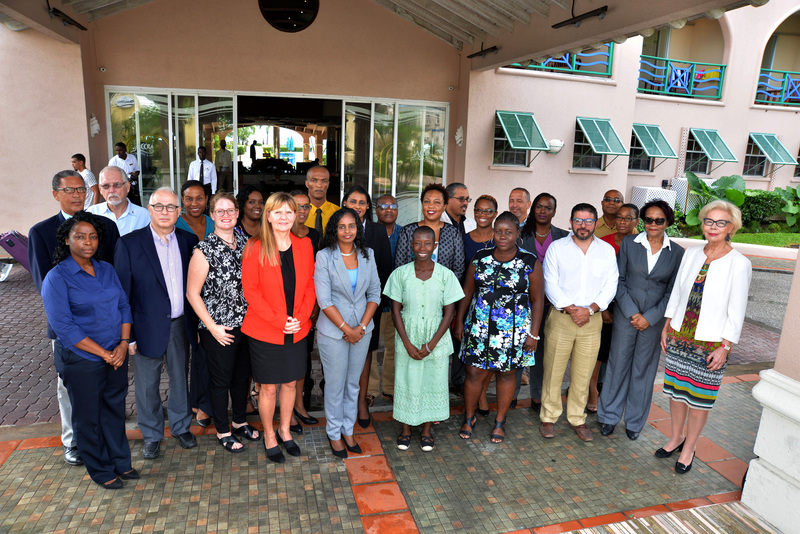 A new partnership with the The Caribbean Community (CARICOM) Secretariat was initiated in November 2018 when NORCODE organized its first regional training program for the Caribbean. The week-long training concentrated on the management of rights in the digital environment. The international partners CISAC, IFPI and IFRRO were instrumental in carrying out the training which was moderated by Ms. Tarja Koskinen-Olsson. Altogether 16 participants from 10 countries (Aruba, Barbados, Belize, Dominica, Jamaica, Mexico, St. Kitts and Nevis, St. Lucia, St. Vincent, Trinidad and Tobago and the Grenadines) took part in the training. They will now work on their individual study projects which will be discussed and evaluated online in May 2019. These projects are of special importance for the participants, their organizations and countries. Collective management of rights in audiovisual works has been reinforced in Uganda. Uganda Federation of Movie Industry (UFMI) got a revitalization during 2018. The CEO of UFMI, Ms. Jane Nmabasa, participated in the first NORCODE Training Program for Africa in late 2017, with boosted activities as a result. Ms. Tarja Koskinen-Olsson in her recent feasibility study concluded that the legislative framework forms a solid ground for collective management. The current law includes among others a remuneration right for broadcasting to performers and producers. The study was commissioned by NORCODE. Some seventy participants from training programs organized by the Swedish Patent and Registration Office yearly from 2004 to 2014 gathered together in Addis Ababa, Ethiopia in November 2014. This "Conference on Advanced International Training Programmes on Intellectual Property Rights in the Global Economy" was part of the evaluation process of ten years of teaching and training in developing countries. Henry Olsson has paid a major role as a teacher and tutor for altogether 750 participants during the years. This was also a wonderful opportunity to meet friends and colleagues from all around the world.